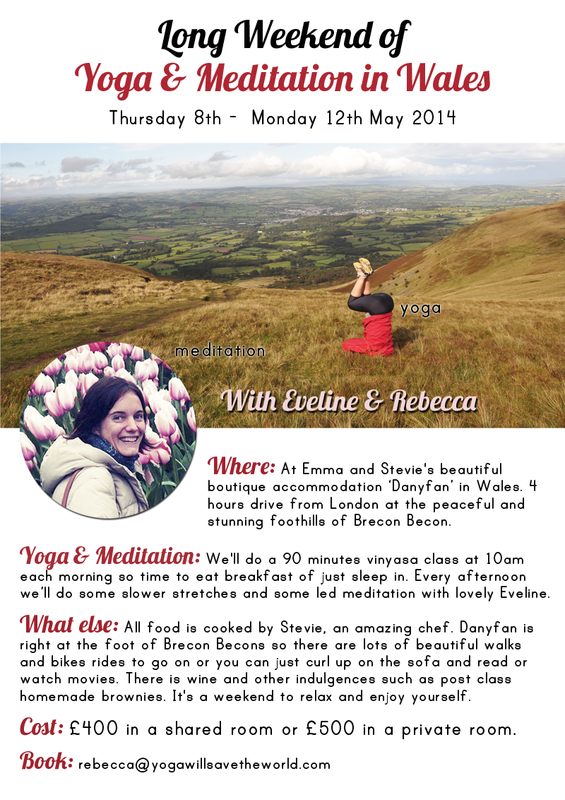 There are 2 spots left for the Yoga and Meditation weekend at Danyfan on the 8th May. It’ll be our 5th one, and so far they’ve been brilliant. This is the first with meditation as well. I can’t wait! If you fancy coming let me or Rebs know. Rebs of Yoga will Save the World is running another long yoga weekend on the 15th – 19th March. There are still a couple of spots available, so let me know if you fancy it. We ran one in September, and it was lovely – a long yoga session in the morning after breakfast, and then lots of relaxing, wholesome walks and delicious food and wine for the rest of the day. More details are on the website.